I’m seeing a lot of articles lately about “The 50 Best Hot Dogs in America.” Best, of course, is subjective, but these photos make all of them look pretty damn good. Here is a slideshow to get you salivating. I don’t eat a lot of hot dogs because even the best ones aren’t what you’d call healthy. We’ve been getting Hebrew National Reduced Fat; they’re not quite as nutritionally reprehensible as some other brands. Grilled over charcoal – because we like to add our own carcinogens – they are pretty tasty. 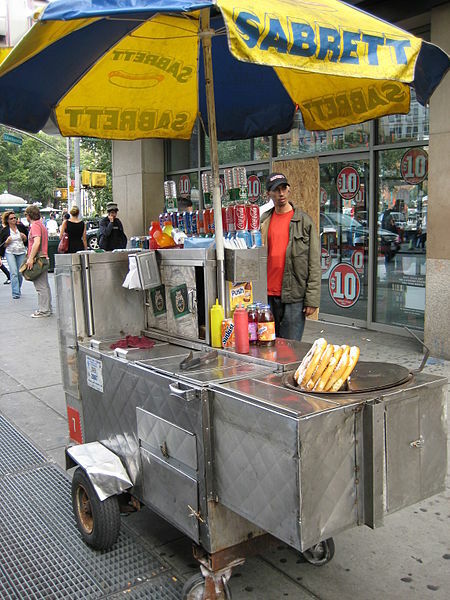 When I lived in New York City in a different life, a hot dog from a cart on the street was a great treat. I think they were fifty cents at the time; they now run about $1.75. There were three acceptable toppings for the dog (which was kept warm in a tub of greasy water): mustard (deli mustard – none of that fancy-schmancy Dijon), sauerkraut, and onion sauce. It was perfection. The onion sauce is what New York expats dream about, and what visitors come away craving. Apparently Sabrett’s bottles it for sale, but why buy that when it’s cheap and easy to make your own? I found a recipe here on the internet and made it the other night. It turned out pretty good. It’s easy to make and good on a lot of things besides hot dogs. You’re going to be grilling hot dogs this summer anyway; make a batch and try it – whether you’re eating Nathan’s, Sabrett’s, or Smart Dogs, it’ll be great. Heat the oil in a wide frying pan. Add the onions and salt and cook slowly over medium heat, turning as needed, until onions start to brown on the edges. If they burn, throw them out and start over. When onions are starting to brown, add the garlic and cook another few minutes (do not brown the garlic). After adding the garlic to the onions, pour in this liquid mixture. Cover the pan, lower the heat, and simmer for 1 hour. 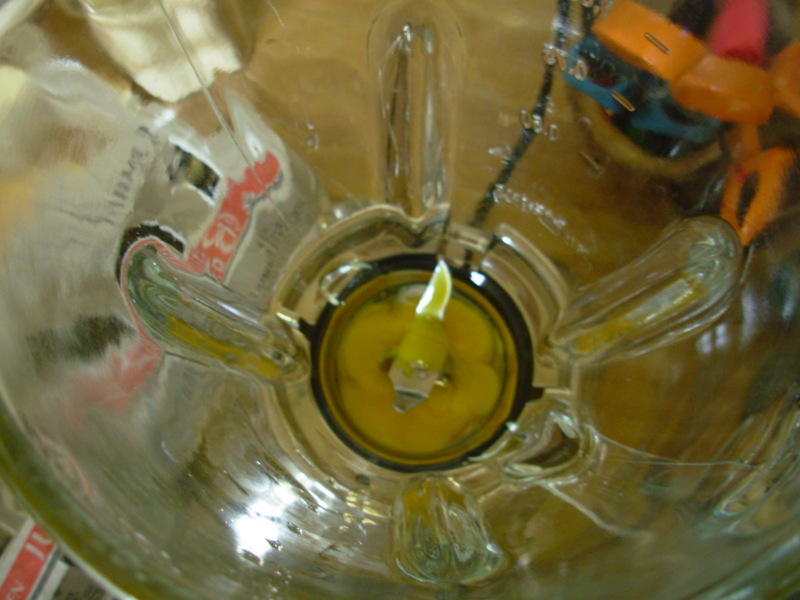 Check now and then and add water if necessary to keep it from sticking or burning. 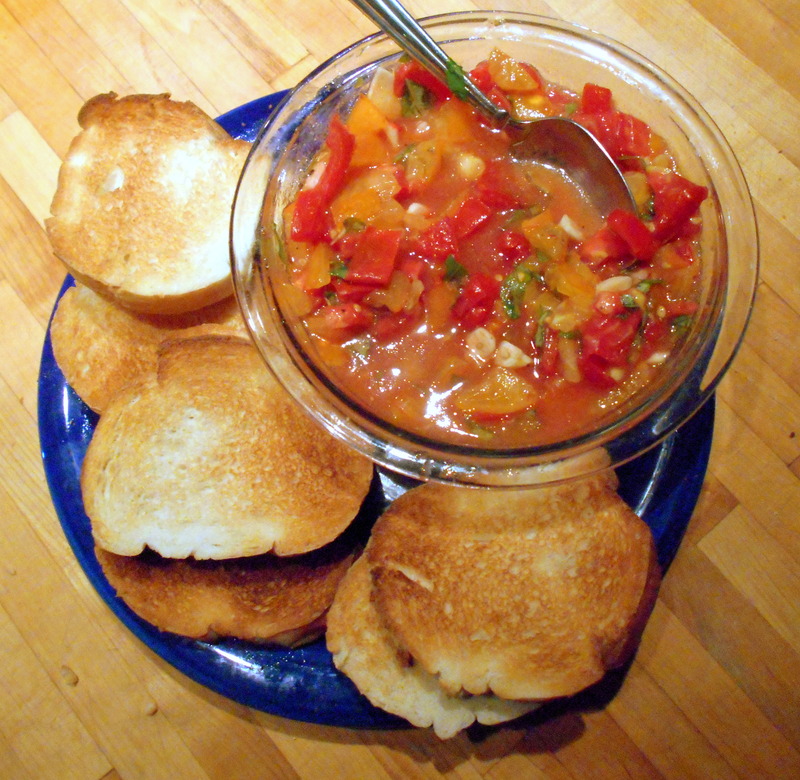 You want to end up with onions in a somewhat thickened sauce – not runny and not gummy. After 1 hour, it’s ready to eat. 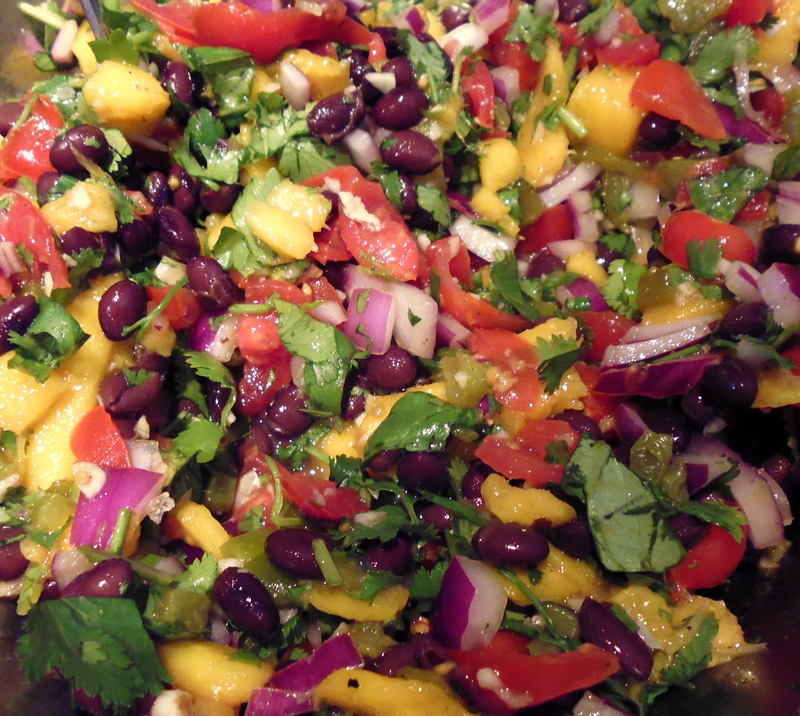 This keeps nicely in the refrigerator for a few days, covered, so you can make it ahead of a BBQ. Try it on hot dogs, of course, but also burgers, steak, scrambled eggs, mashed potatoes instead of gravy, steamed rice, or wherever a slightly sweet, slightly savory condiment would go well. 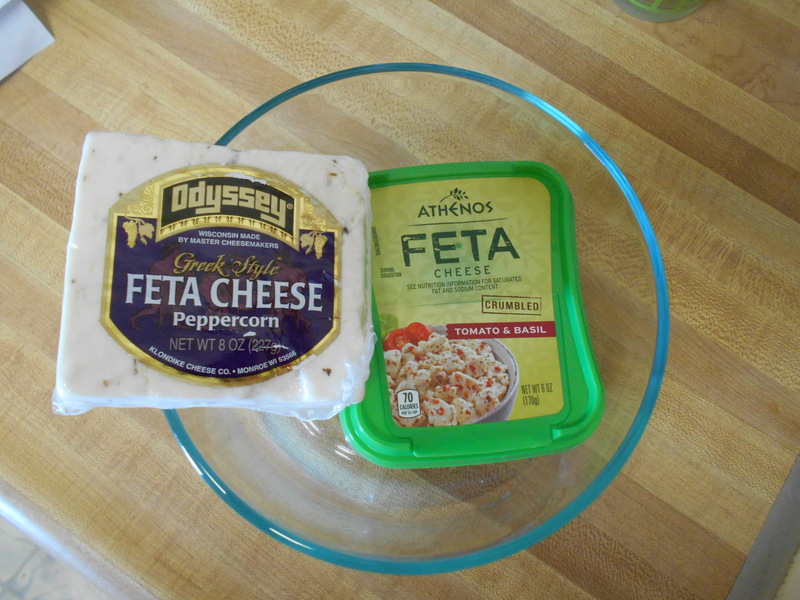 If you chopped the onions instead of slicing them, this would make a nice dip to go with chips. Posted in recipe and tagged dip, onions, sauce. Bookmark the permalink. I like underdone (runny) fried eggs, carpaccio, beef tartare, extra-extra rare beef, sushi and sashimi, raw cookie dough, and unpasteurized cheeses. And I eat yogurt past the expiration date. I have been making my own mayonnaise for over 30 years and not once has anyone gotten sick from it. Eat raw eggs at your own risk. Now then. Mayonnaise. It may have been invented in Mahon, Spain. 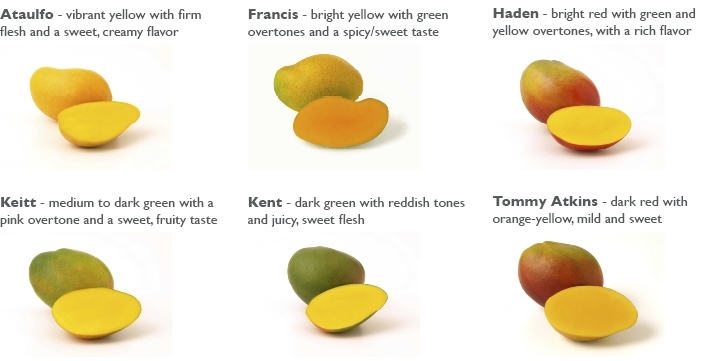 It might have been named after Charles de Lorraine, duke of Mayenne, or it might have been invented in England in the 15th century. I suspect some version of this sauce might have developed in several places over the centuries, and eventually took its current name by popular use. Does it matter? Making your own mayonnaise is easy. My niece was making it when she was three years old (she did need some assistance getting up on the kitchen counter). It tastes far better than commercial mayonnaise. And you can jazz it up to suit yourself. The basic principle of making mayonnaise is that you are forcing two different substances – egg yolk and oil – to blend together (emulsify) harmoniously. Technique is crucial. But even if the worst happens and it breaks/separates, it can be repaired. 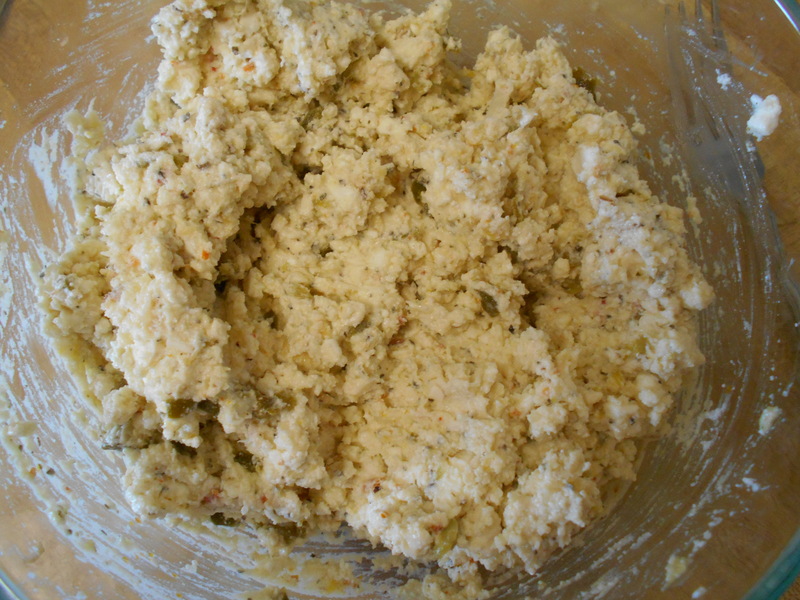 Mayonnaise can be made in a bowl with a whisk or an electric mixer, in a food processor, or blender. The first method is a sure thing but tedious, and I only resort to that when I have screwed up and the mayo broke/didn’t thicken. In theory the food processor should work well, but I’ve had more failures than successes with it. I think the blender is the way to go. Separate two eggs. Put the yolks in the blender. Put the egg whites in a covered container in the refrigerator; use in scrambled eggs, baking, or omelets, or freeze for longer storage: when you collect enough, make an angel food cake. Add 3 tablespoons vinegar or fresh lemon juice, and blitz for 30 seconds. Where were we? Yes. Eggs and vinegar. And blitz again for 30 seconds. Start adding oil. You want to do this VERY SLOWLY, drop by drop if possible. If you add the oil slowly enough, the oil droplets emulsify with the egg yolk, creating a thick mayonnaise. 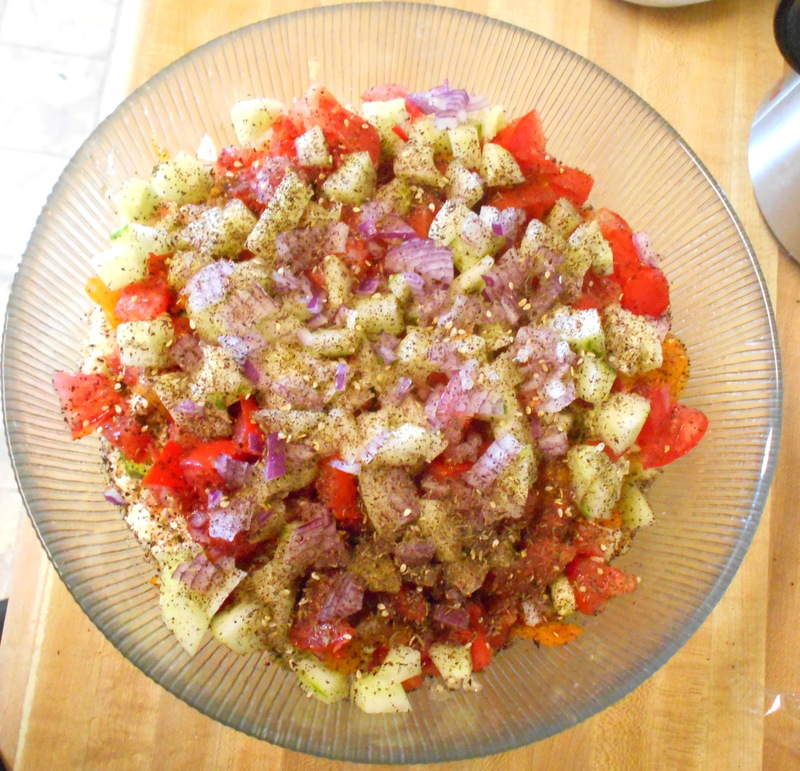 I use about 1/4 cup extra virgin olive oil, then switch to a vegetable oil like canola or safflower. 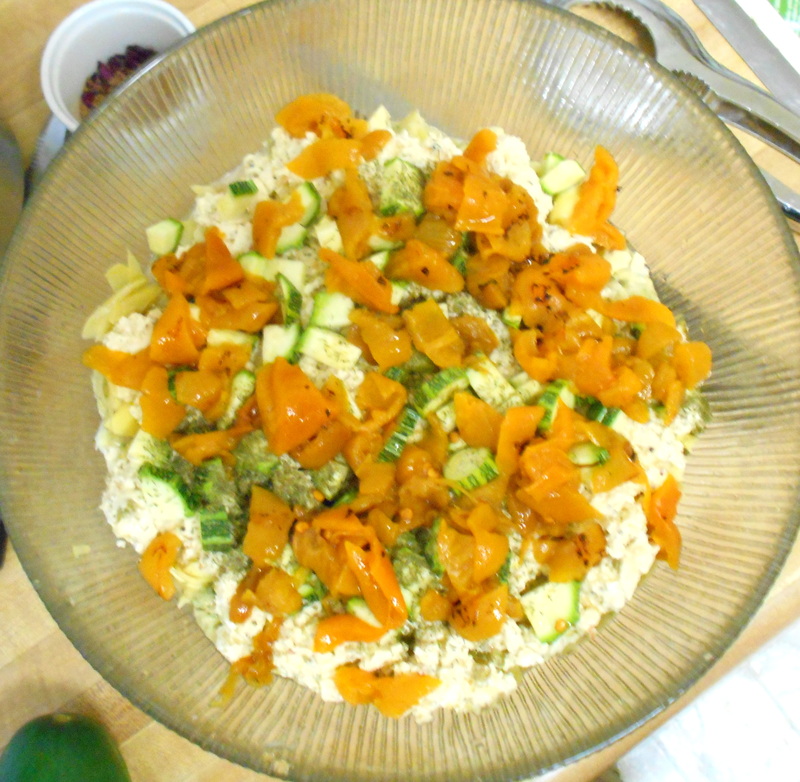 The mixture will be thickening; when that happens, you can add the oil a bit faster. You might need as much as one cup of oil or slightly more, but once the mixture stops absorbing oil, do not continue adding it. When the mayonnaise is very thick and you can’t see oil being absorbed any more – i.e. it’s puddling up on top – turn off the blender. 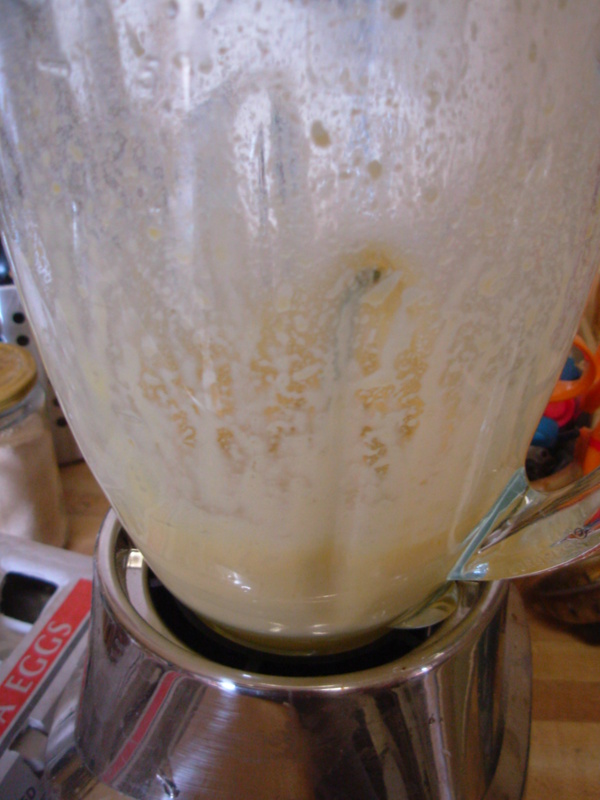 Remove the bottom of the blender carefully (sometimes the mayonnaise will all spill out at once) and scrape into a container. 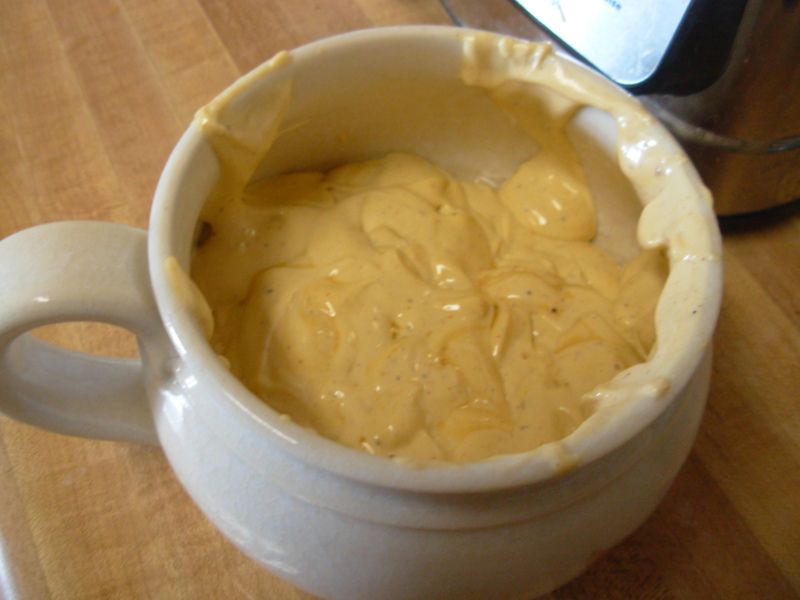 The mayonnaise will be yellower and much less sweet than commercial products. Store, covered, in refrigerator. You can use it right away or let it continue to develop flavor for a couple of hours in the fridge. Sometimes the mayonnaise will not thicken, or it may break and look curdled. 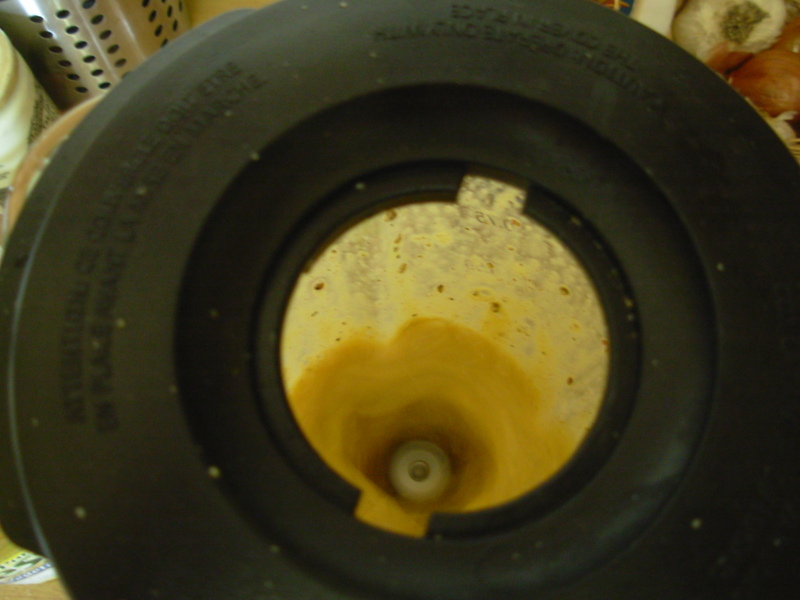 This could be due to adding the oil too fast or blending too long after the maximum amount of oil has been added. Place one egg yolk, at room temperature, in a clean bowl. With a balloon whisk, beat in 1 teaspoon prepared mustard until very thoroughly combined. 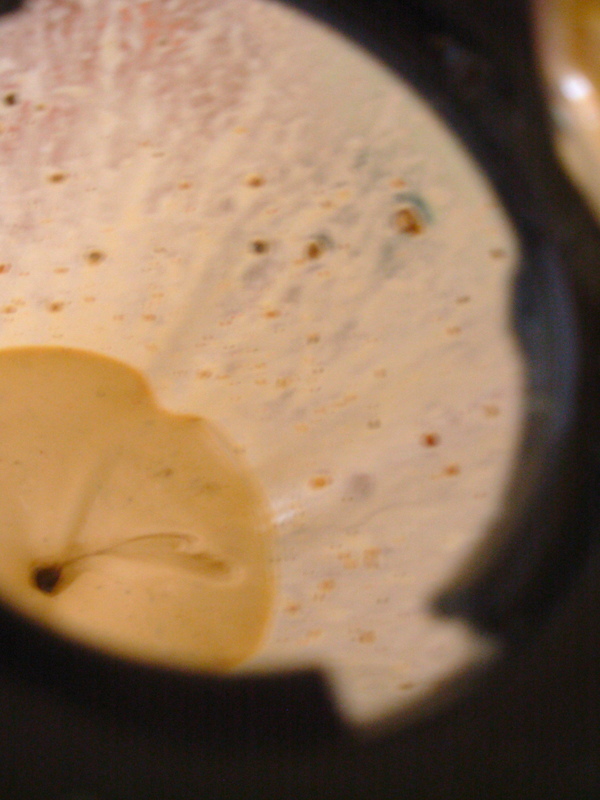 Then, drop by drop, add the broken mayonnaise, whisking constantly. Once the emulsion begins to take, you can add the mayonnaise a little faster. Vary the vinegar: sherry, pear, red wine, apple cider, garlic, tarragon, champagne, and so on, or try fresh lime lime juice. For richer mayonnaise, add one or two more egg yolks. 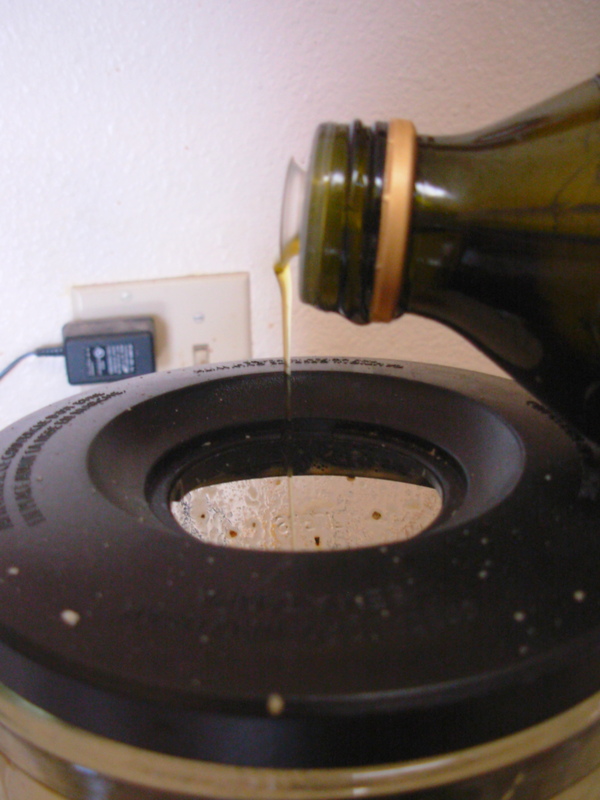 Try different oils, or a higher/lower percentage of olive oil. 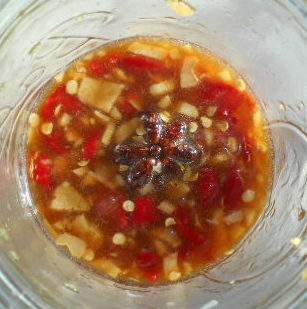 a chipotle chili from a can, including some of the adobo sauce. This is particularly good when using lime juice. fresh herbs – parsley, basil, dill, tarragon, cilantro, etc. 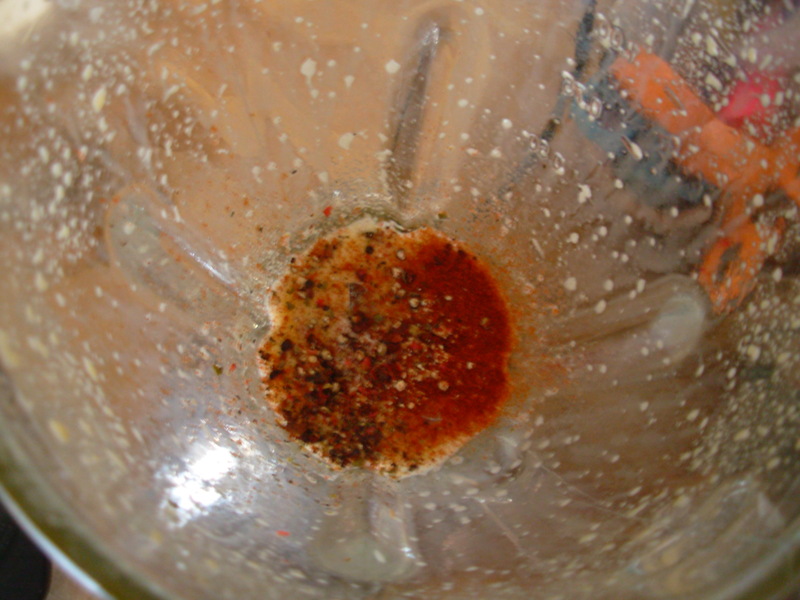 a couple of tablespoons of sesame oil and a little Sriracha. sun-dried tomatoes. including some of the oil. Homemade mayonnaise will last a couple of weeks in the refrigerator. It doesn’t have the commercial stabilizers and preservatives found in bottled products so don’t count on keeping it the same amount of time, but that isn’t likely to be a problem: it’s far more delicious than Best Foods. 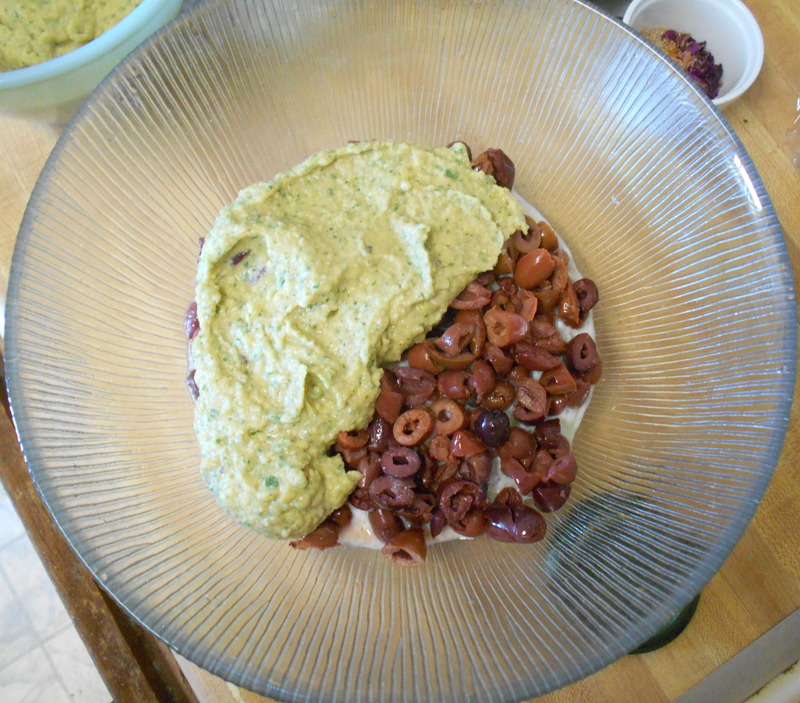 Posted in recipe and tagged dip, eggs, gluten free, kitchen disaster, salad dressing, sauce, technique, vegetarian. Bookmark the permalink.